Back in 2015, rumors of a possible sale of Ancestry.com sparked reactions ranging from "Run! The sky is falling!!" to "Yawn..." A common theme among many of the posts in social media was that everyone should download their GEDCOM files from Ancestry ASAP. You SHOULD go download your GEDCOM and other files from Ancestry… and any other website where you have them. Note that I said “download,” not “delete.” It isn’t that I think that Ancestry or any other website is going anywhere. It’s a matter of sensible data management. The great thing about electronic files — GEDCOMs, digitized photos, audio files, etc. — is that you can easily have multiple copies of the same data. (It’s also a challenge, but that’s a topic for another post.) When you have multiple copies, you don’t need to have all of your eggs in one virtual basket. Lots of Copies Keep Stuff Safe (LOCKSS) is an archival principle that does just what it says. There’s safety in numbers. One of anything is vulnerable. If that one thing is destroyed or lost, that’s it. It’s gone. With lots of copies, you increase the odds of that item surviving. Losing one doesn’t mean you lose everything. While I don’t think that a sale of Ancestry would mean the shuttering of the site (I mean, do you pay $2.5B – $3B for something and then shut it down?! ), you shouldn’t have the only copy of your files there. You shouldn’t have the only copy of your file anywhere. You shouldn’t have only one copy. Period. You shouldn't have only one copy of your #﻿genealogy﻿ data. Let’s say that the site where you have your data has trouble with a server; the site is down while they fix it. Your data is inaccessible during that time. Same if you lose your Internet connection. If you can’t reach the web, you can’t reach your data. And there’s the possibility that the site where you have your data goes out of business. On the flip side, don’t let your computer store the only copy you have. When that computer dies — and it’s when, not if — you could lose it all. Utilize the Internet as off-site storage. Genealogists use many types of data. We have GEDCOMs, photos saved as JPGs and TIFFs, PDFs of family histories. It takes us a long time to compile it all and we don’t want to have to recreate it. We owe it to ourselves to not have only one copy — not on Ancestry, not on our laptop, not anywhere. 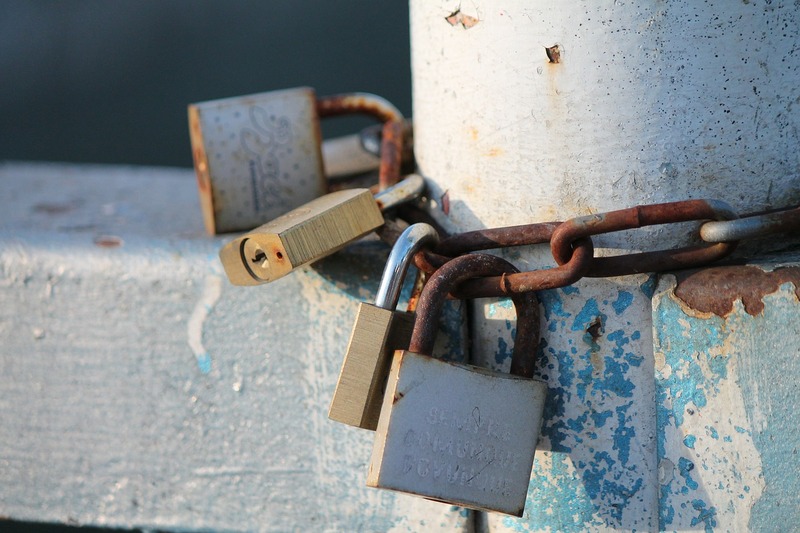 When we use the LOCKSS principle, we help ensure that our data lives on. 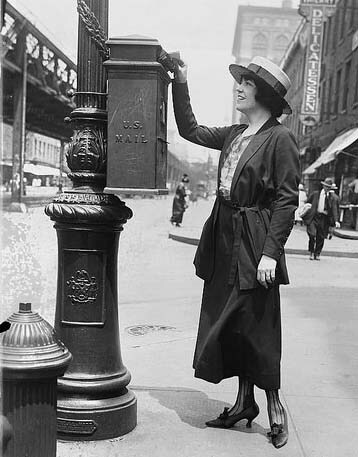 Want genealogy tips delivered right to your inbox? Subscribe to my F​R​​​​EE ne​​​​wsletter! 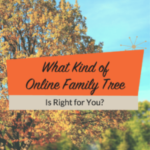 What Kind of Online Family Tree Is Right for You? This entry was posted in technology, websites by Amy Johnson Crow. Bookmark the permalink. I’m not real sure how to download my family tree from Ancestry.com. I have 3 major trees – so how to go about it? Any suggestions. Thanks. Phyllis — Ancestry has a step-by-step tutorial on how to download a GEDCOM of your tree: https://support.ancestry.com/s/article/Uploading-and-Downloading-Trees. Keep in mind that a GEDCOM only gets the text: the names, dates, places, notes, source citations, and relationships. It will NOT get any images or other media that you’ve attached to your Ancestry tree. 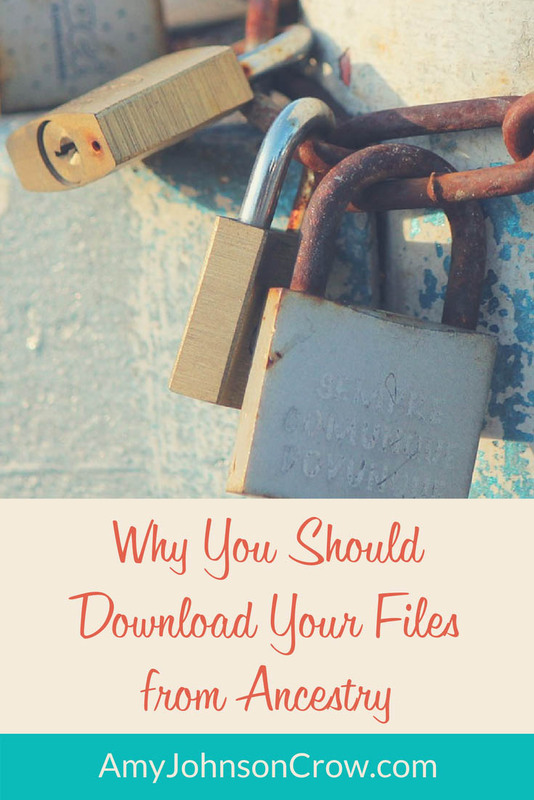 To get the images, you’ll either need to use a program like Family Tree Maker or RootsMagic, which will sync between your computer and the Ancestry tree or you’ll need to download those images manually. Gasp! how simple & I’ve been struggling to learn an efficient way to *do* that! thank you immensely! If I export all my family tree maker files will they delete from FTM? Can I export into Word? Toria, exporting from FTM (or from Ancestry.com, other genealogy programs, other websites, etc.) creates a file in a text format called GEDCOM. Exporting will not remove data from the original program or website. The GEDCOM file can then be imported into a different program, uploaded to another website, given to a relative, or just saved on your computer, on a disk, in the cloud, etc. just in case it was needed later. Although one could open a GEDCOM file in Word, Notepad, etc., that would not be advisable for the average user, as it is very easy to corrupt the data. There would be little point for most users, anyway, as it simply contains a long list of data, with code to tell programs which people to link, and in what way. Should I be able to do all tasks on Ancestry’s Web Site which I presently do on FTM 2014 and sync to the web site? If you have Ancestry’s FTM 2014 the sync function no longer works. You have to update to MacKiev’s latest release of FTM which has the sync function. MacKiev’s FTM2017 sync with Ancestry has not been released for general use yet. It is in a BETA test mode where it looks like they are slowly adding people to the BETA mode to test their product. I was a little disappointed they did not release FTM2017 in Mar2017, but I appreciate them taking the time to get it right. Any word on how the BETA model is working? Thanks for the information. I have no idea how to download, upload or whatever it is to anything else. Is there a place I can go to for more details? I would be crestfallen if I lost my Ancestry tree. I am just a hobbyist but I have been doing this on and off for more than 25 years. Thank you…. Hi Linda! Ancestry has a tutorial showing how you can download a GEDCOM of your tree: http://help.ancestry.com/app/answers/detail/a_id/472/kw/472. A GEDCOM file includes only the text; it won’t capture any digital images that are attached to your tree. If you use Family Tree Maker as your genealogy software on your computer, you can also link your tree that’s in Family Tree Maker with a tree that’s on Ancestry and sync them. (Do that regularly.) BTW, if you do use Family Tree Maker, Ancestry may or may not continue the syncing with FTM after the end of 2016. Hi Amy, for years I have had the issue of only being able to get my media off of ancestry.com one file at a time. So even though I was backing up my GEDCOM, I couldn’t back up anything else. Not fun at all. So I wrote a Chrome extension to automate the process. Hope it helps a few of your readers out. Great post and so true! Having only one copy is a risky practice, especially considering all of the time and energy spent on building our precious trees. I keep several copies of my gedcom, and other files like jpgs, pdfs, historical ebooks, etc. And I NEVER trust anyone access to them! You’d be surprised how many folks have lost data and jpgs due to trusted siblings who betrayed them and deleted this stuff!! The reason why I keep family group records hardcopies to digital copies on an external hard drive, and two flash drives! It will never happen again! As a family history consultant I teach to have a software program installed on your computer, and not just use one of the online sites, such as Ancestry. This way you can keep track of living relatives, keep your family tree correct, and work offline. I really like your article and find it a good reminder to have several back ups. 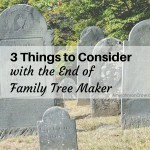 Is it crazy to start a new copy of your tree on Family Tree Maker than to link it to your tree on Ancestry or other websites? My thinking is that I can go thru and look for errors in the tree from when I first started. Yup, I copied others trees and accepted them. Now that I know better I have been trying to go in and correct these errors but not sure I have found all of them. Plus, I can then separate my family from my husbands. No, that’s not crazy at all. In fact, blogger Thomas MacEntee has a whole free program called Genealogy Do-Over. 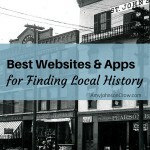 You can find more info at genealogydo-over.com. I really don’t like the idea of opening my tree as there are several in the family that have just copied “stuff” from other trees that is wrong and I don’t want them copying my “researched and proven” work. Does that sound mean? I don’t mean it to be but I’ve spent since my teens (now 70) researching with a researcher and spent a big amount of money just to have several (or many) copy all my work. You need to publish in some foremat or other. You cannot take it with you so all would be lost. That would be sad. I have 35 years+ invested in my database. I use RootsMagic and backup to a flash drive (very easy to do) everytime I input something important and take a drive with me everytime i travel. Also have one in a safe that is water and fire protected but not theft. I hope Linda, Mar 2016) has found a way to protect her date. the kid next door would help. I’ve meant to make a palm drive to take to the safety deposit box, or to trade with my sister who also works on genealogy. Thanks for the reminder. Thanks Amy! In trying to backup FTM to a 256GB Flash drive, my 6,000+ person file is read but wont transfer to flash drive. Message says not enough room! According to my hard drive backup, it’s about 6,000 MB. what am I doing wrong or not understanding? Thanks again. Do you have anything else on that 256 GB flash drive? You should be able to see what is on it and how much space it’s taking up. 6000 MB is approximately 6 GB, so you’ll need at least that much space available on the flash drive. It’s brand new out of the box, ugh! Are you copying from your hard drive or are you doing the backup to the flash drive? If you’re copying from the hard drive, maybe you’ve selected too many files. Try doing the back up directly from FTM and saving to the flash drive. Performed backup from FTM menu. I’ll keep at it and sincerely appreciate taking up your valuable time. Many thanks for your kindness. I am a novice with this but I want to creat a data page ( hard copy) for each person in my family tree and put them in a note book, I can’t figure out how to do that with ancestry.com very frustrating. Your best option is to get a genealogy program (Family Tree Maker, RootsMagic, etc.) Download your tree from Ancestry, import it into your program, and run the reports from there. The tree on Ancestry really isn’t designed to do printing very well.